let your time and talents shine! 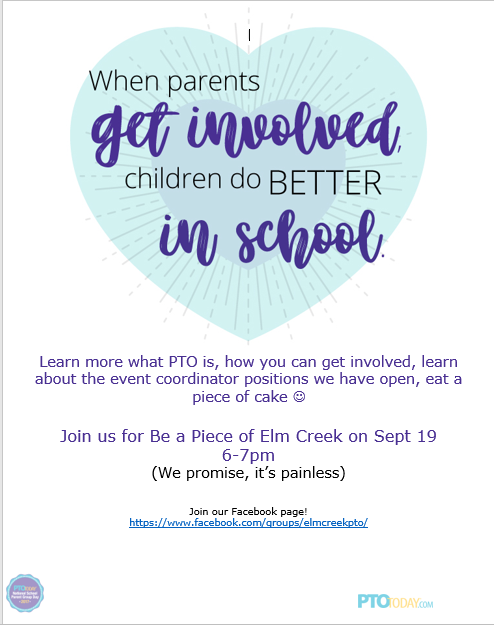 Explore all the ways you can get involved at Elm Creek! 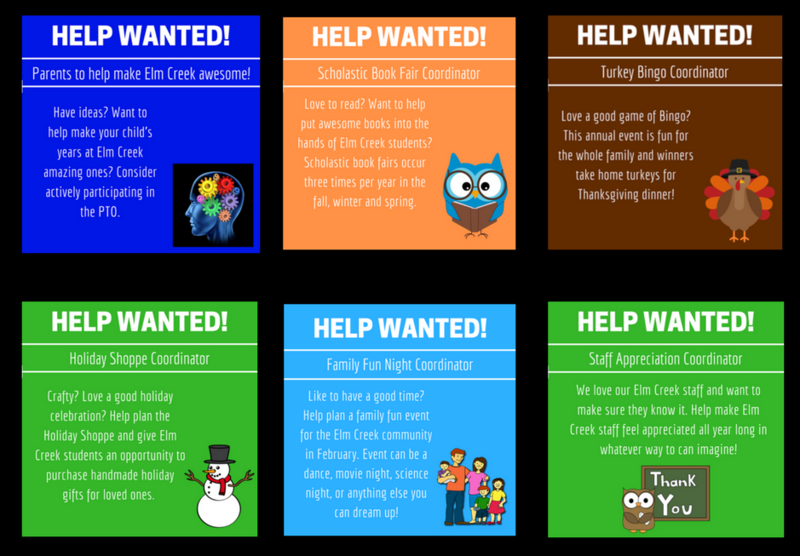 You don't have to be a stay at home parent to volunteer at Elm Creek. Did you know that you can volunteer by working on projects and events at home? ​To the left is a list of people that pledged to volunteer 2, 3, or 4 hours to Elm Creek this school year. Thank you so much for your commitment to making Elm Creek amazing!